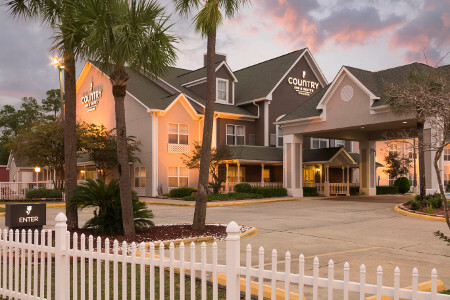 Conveniently located off I-10, the family-friendly Country Inn & Suites® by Radisson, Biloxi-Ocean Springs, MS is located just eight miles from the Gulf Coast’s top beaches. Destinations like Keesler Air Force Base and the Mississippi Coast Coliseum and Convention Center sit about 12 miles from our hotel, and government travelers appreciate special rates through the FedRooms Program. Looking for Biloxi’s famed nightlife? 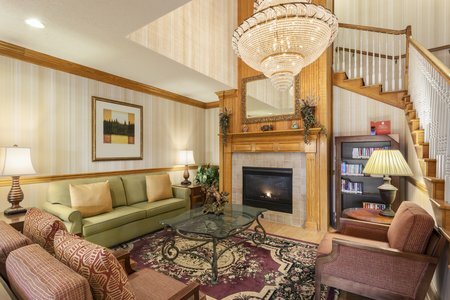 Our hotel lies just 10 minutes from Beau Rivage, Boomtown and Hard Rock casinos. Join us every morning for a free, hot breakfast. Selections include a rotating menu of warm items like a biscuit bar and a burrito bar, plus classic fare like waffles, cereal, bagels and fruit. If you’re an Elvis fan, drive three miles south to try Aunt Jenny’s Catfish Restaurant, where the King was once a regular customer. Other nearby restaurants include Mikey's on the Bayou and The Tatonut Donut Shop. Biloxi Lighthouse – Drive about 10 minutes southwest to see the city’s signature landmark, which has become a symbol of Biloxi’s resilience after Hurricane Katrina. Built in 1848, this was one of the first cast-iron lighthouses in the South and has withstood many storms. Tours are offered each morning. Beau Rivage Casino – Located just two minutes east of the Biloxi Lighthouse, this waterfront casino tempts you to go “all in.” Play blackjack, craps, roulette and poker, or head to one of several on-site restaurants for options like steak, teppanyaki and Italian cuisine. Mississippi Coast Coliseum and Convention Center – Our hotel is situated just 12 miles from the largest beachfront arena of its kind in the South. Watch family shows, concerts and sporting events from comfortable upholstered seating. The center’s conventions and expos provide a great opportunity for networking and growing your business. 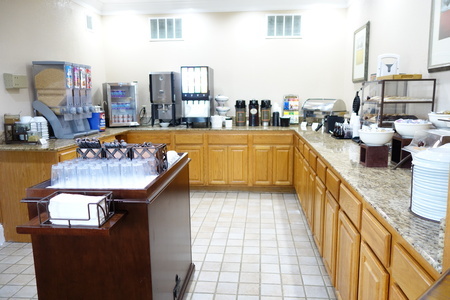 For a convenient meeting space located about 20 minutes from Gulfport-Biloxi International Airport (GPT), you can reserve our breakfast room by the hour every day after noon. To help you achieve your goals, we also offer audiovisual equipment and discounted group rates.